In the twenty-four hour news cycle we live in, we frequently are treated to instantaneous images of disasters unfolding around the globe. I am often reminded how disasters do more than destroy the physical infrastructure of the affected areas; they strike at the very core of individual and community identity. The normal rituals of everyday life are disrupted while injury and death highlight the fragility of our mortal, material bodies. In mass-casualty events, the dead often become a logistical problem, their bodies part of the larger filth of disaster. The urgency to recover and bury the dead as quickly as possible can make it difficult, if not impossible, for survivors to perform the rituals of care and grief that might return a sense of individual dignity to the dead. When a massive earthquake hit Nepal in April 2015, killing approximately 8500 people, Kathmandu’s temporary morgues were filled to capacity; morgue workers had little choice but to cremate the unclaimed dead without ceremony.1 In nearly every historical and contemporary mass-casualty event I’ve studied, the handling of the dead is often fraught with concern about how we deal with the very real material problem of so many bodies without neglecting the social and cultural rituals that give meaning to those bodies as we dispose of them. Such was the difficulty that faced the Pennsylvania State Board of Health in the summer of 1889. 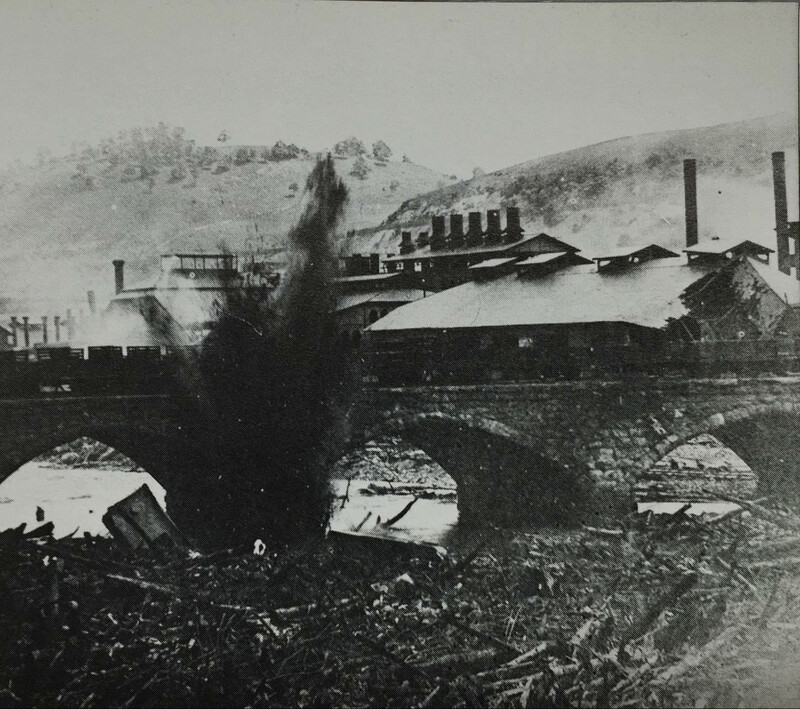 On May 31st of that year, torrential rains caused the already-weak South Fork Dam to collapse, sending water surging down the state’s Conemaugh Valley toward the industrial settlements surrounding the city of Johnstown. 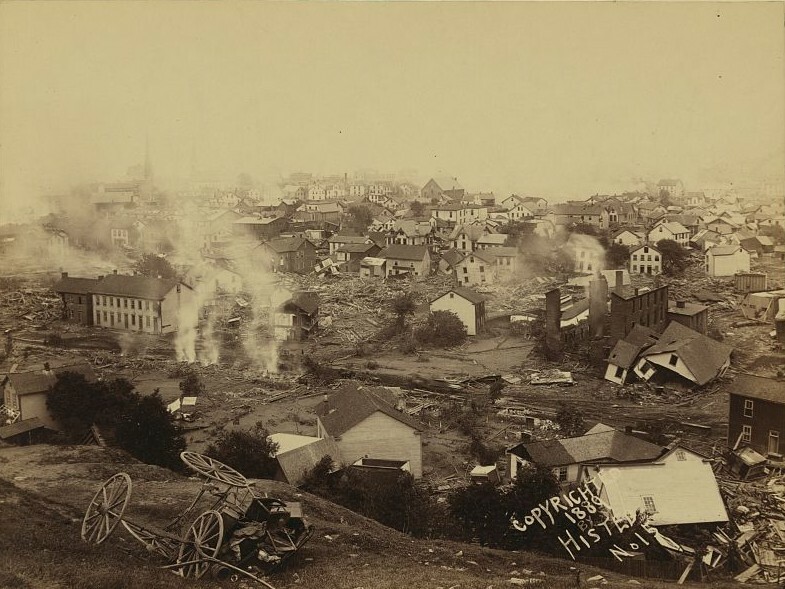 This wave easily wiped away homes, factories, rail lines, and telegraph poles before devastating the greater Johnstown area, home to an estimated 30,000 residents.2 In the wake of the flood, about 2,200 human bodies, and thousands more animal carcasses, lay scattered throughout the valley. Reports described the bodies as being “thick as flies” along the railroad tracks; parts of bodies were peeking out from debris piles all around the Johnstown area.3 As time passed, the remains began to decompose, eliciting growing concern from the State Board of Health. In keeping with the common belief that the decomposing corpse could spread fatal infectious diseases to the surviving community, the state immediately declared the area at risk for an epidemic. This declaration shows that medical authorities in the nineteenth century had developed a marked apprehension about the dead body. The belief in a direct correlation between the corpse, decomposition, and disease had emerged during earlier epidemics, when individuals exposed to infected corpses often fell ill, leading physicians to determine that the body remained contagious even after death. By the end of the century, physicians and sanitary reformers viewed all dead bodies with suspicion, believing that noxious odors or fluids escaping from corpses were capable of polluting the environment around them. Even the transition from miasmatic and zymotic theories of disease to the new germ theories in the late nineteenth century did not dissuade sanitarians from handling the dead as dangerous filth. Another common public health tool in the nineteenth century was fire, but the Board of Health was reluctant to use such a drastic method on human remains and, instead, reserved this method for animal carcasses and any debris known to be free of human remains. This decision reflects the Board’s acknowledgement of the distinction between the pure materiality of animal bodies and the complex social meaning of human remains. 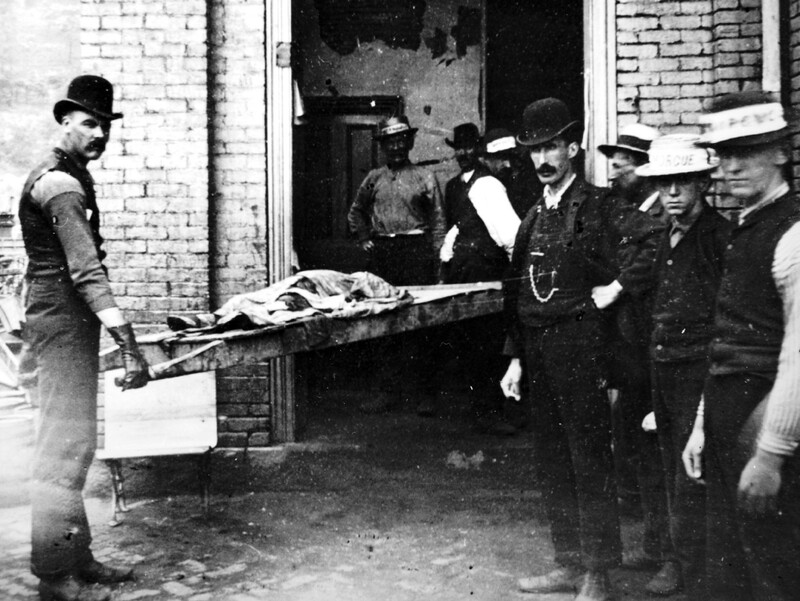 It also suggests that burning bodies was simply not in keeping with typical deathways in late nineteenth-century America. Cremation advocates had only recently advocated for burning the dead in the 1870s, and the practice would not pick up significantly until the turn of the twentieth century. The primary objection to cremation came from religious leaders, who argued that the practice treated the body as a “soulless mass of rubbish.”5 Burning bodies at Johnstown, then, would likely have been perceived as treating the dead like debris and violating their individual identity. Although the Board’s actions at Johnstown might appear today as narrowly focused on hygiene at the expense of compassion, I think we must try to imagine the unprecedented crisis that awaited Dr. Lee and his colleagues when they arrived in the Conemaugh Valley. The Board had a mandate to protect the sanitary health of Johnstown at all cost, “however deeply … the members of the board may sympathize with individual sufferers — however strongly their hearts may prompt them to render aid in special cases.”13 At the same time, I believe the different methods used on different types of material filth at Johnstown suggest they did make attempts to protect the dead as best they could. As disasters inevitably occur in the 21st century, the handling of the dead will continue to stir up anxieties and tensions about the best ways to manage both the material and the social crisis inherent in mass-casualty events. When the Federal Emergency Management Agency established a portable morgue in St. Gabriel, Louisiana in advance of Hurricane Katrina’s landfall in 2005, the hundreds of workers inside struggled against the limitations presented by damaged bodies, lost medical records, displaced survivors, and bureaucratic restrictions to handle the dead with both care and efficiency. Nonetheless, despite their best efforts, it took anywhere from a few weeks to several months before victims were returned to their families, leading many to protest the state’s handling of the dead. In the wake of disaster, we often need professionals — whether the State Board of Health or FEMA — to help manage the dead, but how these experts negotiate between the material “problem” of dead bodies and their social and cultural meaning remains an urgent question. 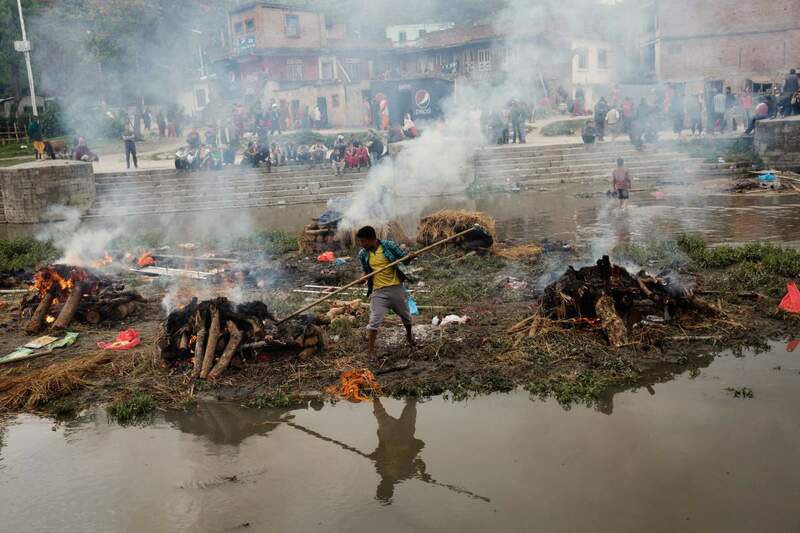 Adam McCauley, “Volunteers Burn Nepal’s Unclaimed Bodies as Death Toll Rises,” Time Magazine, May 1, 2015.Return to text. 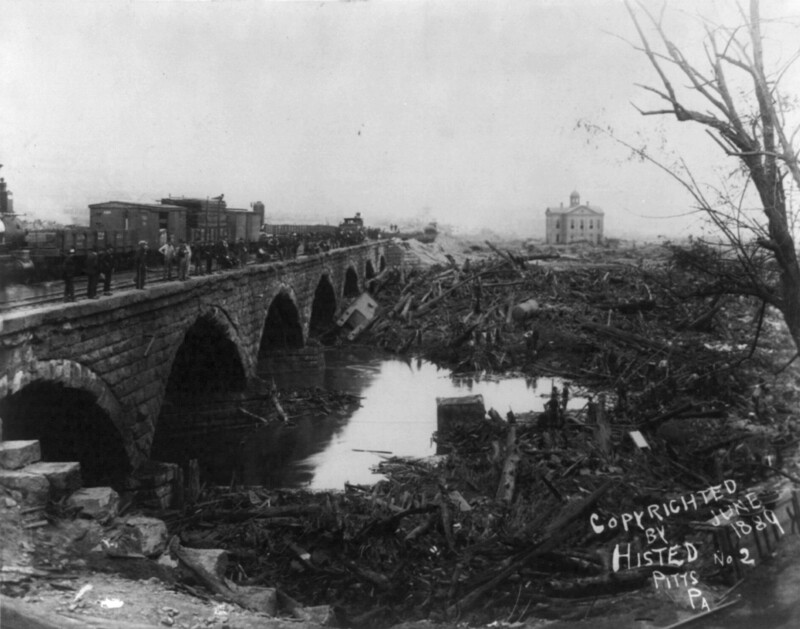 For overviews of the flood’s history and legacy, see David McCullough, The Johnstown Flood (New York: Simon & Schuster, 1968) and Nathan Shappee, A History of Johnstown and the Great Flood of 1889: A Study of Disaster and Rehabilitation (PhD diss., University of Pittsburgh, 1940). Return to text. “Collecting the Dead,” New York Times, June 2, 1889, 1; “Wiped Out by Water,” Pittsburgh Dispatch, June 2, 1889, 1. Return to text. M. Howard Fussell, “Immediate Disinfection of Debris of Floods,” Annual Report of the State Board of Health 6 (Harrisburg: Edwin K. Meyers, 1891): 390. Return to text. Stephen Prothero, Purified By Fire: A History of Cremation in America (Berkeley: University of California Press, 2001), 77. Return to text. James H. Walker, The Johnstown Horror (Chicago: L.P. Miller & Co., 1889), 130. See also Frank Connelly and George C. Jenks, Official History of the Johnstown Flood (Pittsburgh: Journalist Publishing Company, 1889), 29-30. Return to text. Fussell, 389. Return to text. “Recovering the Bodies”; Walker, 149. Return to text. Shappee, 349-51; McCullough, 209. Return to text. “Recovering the Bodies” Return to text. “A Big Nest of Bodies Found,” Johnstown Tribune, June 24, 1889, 1. Return to text. Operations, 102. Return to text. Operations, 71. Return to text.